Julie is a 1997 graduate of UW Madison School of Pharmacy. Following graduation, she worked in Milwaukee and Janesville before moving back to her hometown of Beaver Dam. 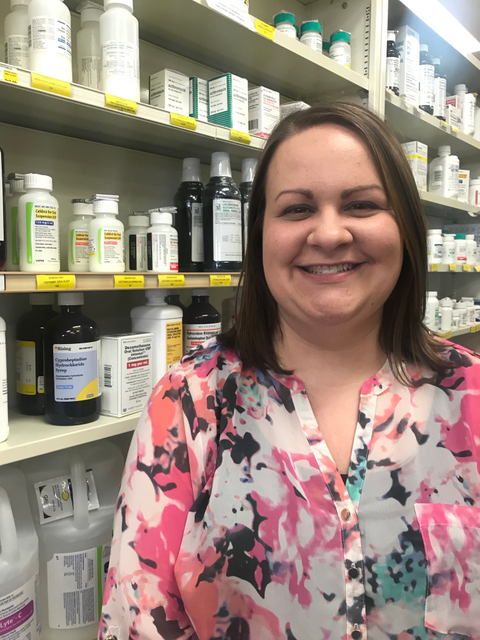 She worked in Beaver Dam for 14 years before joining the Marshland Pharmacy team in 2015. Julie is a member of the Pharmacy Society of Wisconsin. She enjoys working with patients in assisted living facilities as well as walk-in customers to help provide prescription related services. She is looking forward to getting to know the patients at Marshland Pharmacy. Kristen is a 2015 graduate of Concordia University Wisconsin School of Pharmacy. After graduation, she completed a PGY-1 Community Pharmacy Residency with UW Madison School of Pharmacy at the SSM Health Dean Clinic – East in Madison. 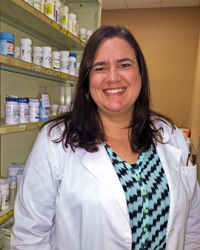 Kristen graduated from the residency program and started with Marshland Pharmacy in 2016. Kristen is active with the Pharmacy Society of Wisconsin and their work in Medication Therapy Management. Kristen is a preceptor for pharmacy students from UW Madison School of Pharmacy.